Introducing a baby to solid food is exciting and scary. Often parents have so many questions: What do you feed them first? When do you start them on solids? How much do you feed them? How often do you feed them? So many questions, particularly when you're sleep-deprived state. To help answer all these questions, here's a baby food guide (with recipes!) for kids 4 months and older. Note: Babies should NOT have the following until they are 1 year old: cow's milk, honey (can cause botulism), nuts/hard foods, shellfish and unpasteurized cheeses. Their digestive systems are still developing, and certain foods can be obvious choking hazards or cause health issues. Start your baby on solids with simple, basic foods such as puréed fruits and vegetables and iron-fortified baby cereal. Since babies are used to breast milk or formula, mix puréed foods with breast milk or formula to pique their interest. You’ll want the food to be runny for the first few feedings. You can gradually increase the thickness as time goes on and your baby becomes more comfortable with texture. Introduce one new food every three to four days so you can be aware of any allergies that might show up. This chart is a great resource for how much to feed your baby. Most vegetable/fruit purées follow the same “recipe.” Simply steam or bake a vegetable or fruit until the food is soft. Let cool and place in a food processor or blender to blend with breast milk, formula or water until smooth. 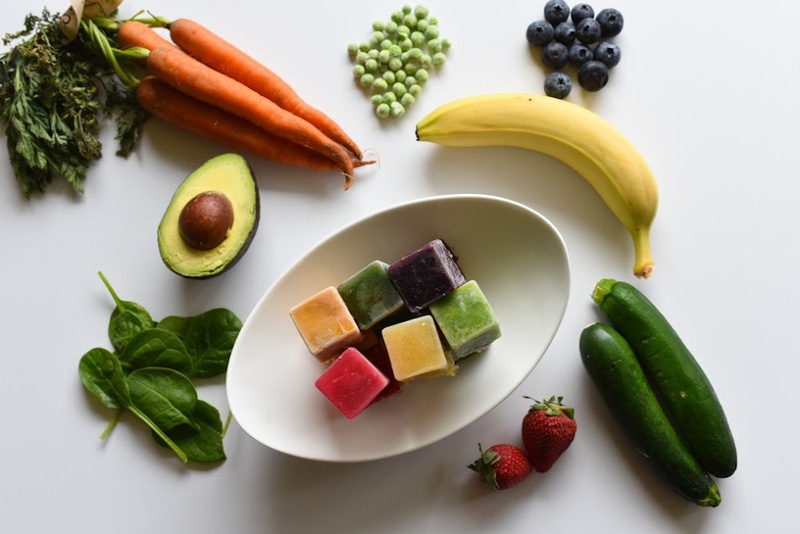 An efficient way to make baby food is to make big batches of one vegetable or fruit purée at a time and freeze them in ice cube trays for up to two months. When you are ready to serve, you can defrost a cube of purée. Mix with other cubes for more complex combinations as your child’s diet evolves. Sweet potatoes or squash make a delightful first food. 2. Spread the sweet potatoes on a sheet pan. 3. Roast for 20 minutes or until soft. Remove from oven and let cool. 4. Blend the sweet potatoes with breast milk, formula or water until smooth. Add more liquid as necessary. 5. Store in airtight container for three days in fridge or one month in freezer. For a more complex food, combine roasted carrots, baked apples and roasted butternut squash. You’ll want to introduce each of these foods separately but once your baby has done well with them, mix them for a different flavor. Blend with breast milk, formula and water to keep the purée smooth. 2. Spread the carrots, apples and butternut squash on a sheet pan. 4. 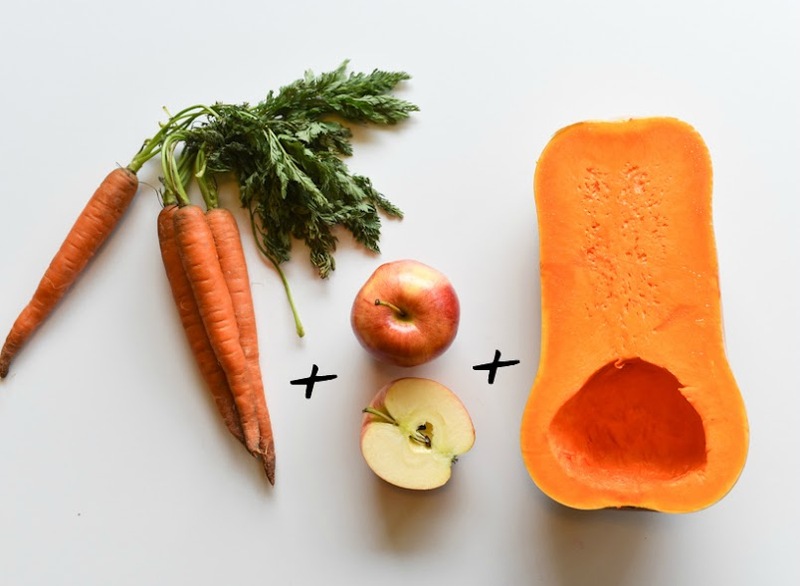 Blend the roasted carrots, baked apples and roasted butternut squash with breast milk, formula or water until smooth. Add more liquid as necessary. At this point, your little one is getting a hang of eating and his or her tastebuds are developing. You can start to introduce yogurts, puréed meats and legumes (beans, chickpeas, edamame, etc) to your baby's diet. Avocados are a favorite first food due to their soft texture and delightful flavor and combined with edamame, they make a tasty treat. Mash avocados with mashed edamame in a blender or by hand for a chunkier texture. 1. 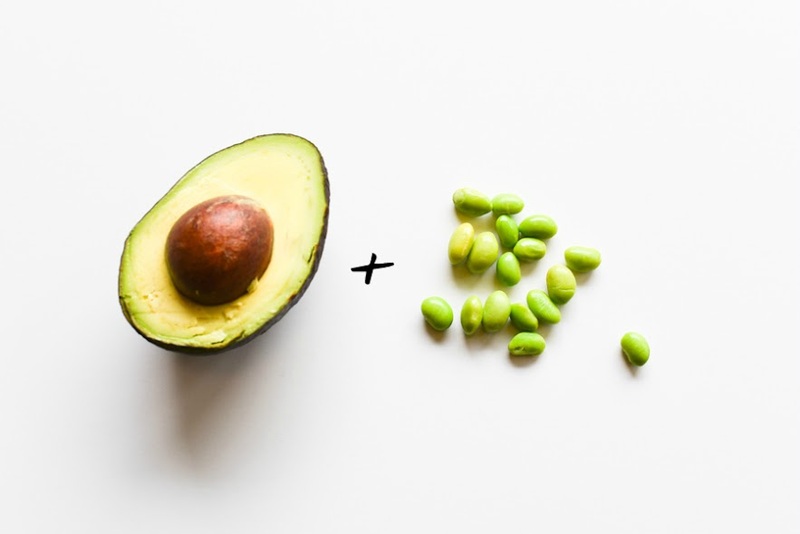 Blend avocado and cooked edamame with breast milk, formula or water until smooth. Add more liquid as necessary. 2. Store in airtight container for three days in fridge or one month in freezer. For a heartier meal, steamed spinach, baked apples with cinnamon and peas are a great combination that will please baby’s taste buds. 1. Lightly steam spinach in a vegetable steamer until soft. 2. Place apple with cinnamon in a saucepan with a few tablespoons of water and cook until soft. 3. Add peas to the apple and cinnamon mixture and cook until soft. 4. Blend the spinach, apples and peas with breast milk, formula or water until smooth. Add more liquid as necessary. Baby’s pincer grasp is usually strong by now; you're ready for finger foods. No need to make this phase complicated. Start with softer foods that can be easily mashed by little hands but held steady between tiny fingers. 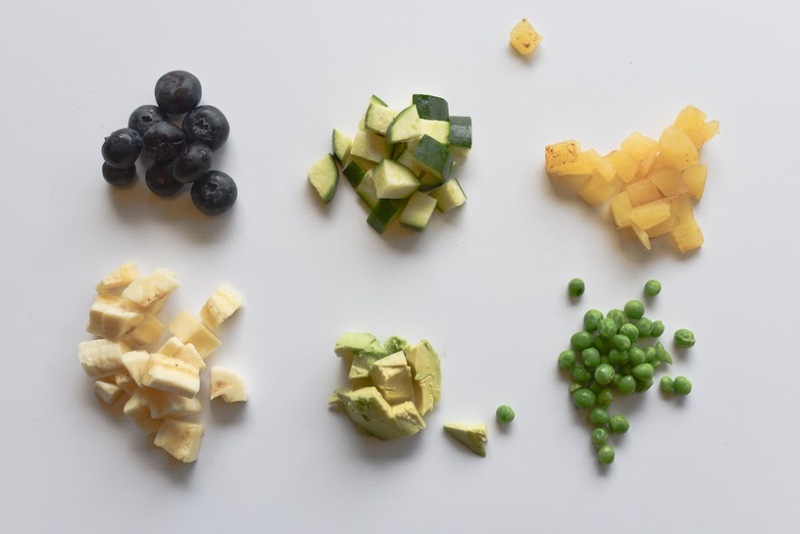 Peas, diced blueberries, bananas, steamed zucchini, baked apples and diced avocado are favorites along with small chunks of cheese, diced chicken and cereal (think Cheerios). Alice and Lois have a great list of baby finger foods and bonus smoothie pop recipes. Babies are eating more combinations at this point; most can eat almost everything you eat. A favorite baby food is hummus. Add some extra ingredients to make it more exciting. Blueberries and zucchini are great additions while broccoli, carrots, sweet potatoes and sun-dried tomatoes can break up basic garbanzo beans and olive oil. 1. 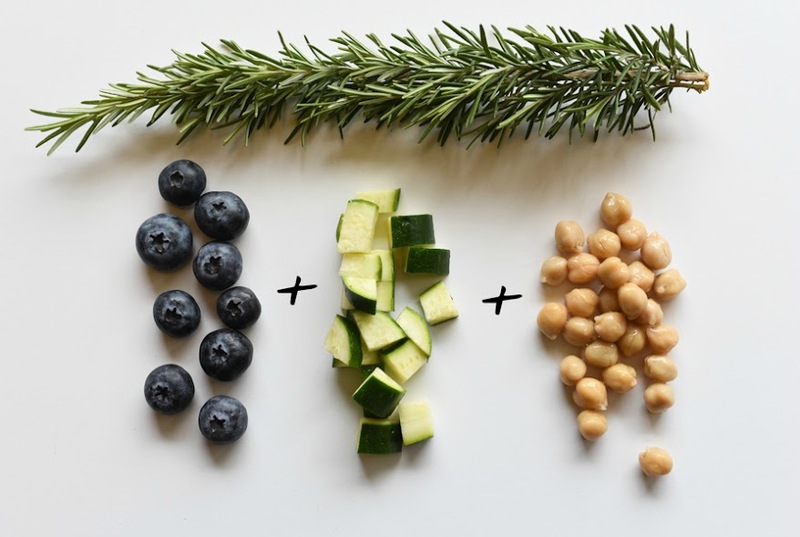 Combine blueberries, garbanzo beans, zucchini and rosemary with olive oil in food processor and pulse. Scrape down the sides and blend until you have reached the desired consistency. 2. Serve with pita bread or crackers. 3. Store in airtight container for three days in fridge or one month in freezer. Toddlers have usually moved beyond the basic purée but don’t have very well-developed palates. Also, the concern for choking is still big. Suggestion: smoothies. They're a great way to pack in some nutrients. Popsicles can also be made with fresh fruit and yogurt for a refreshing treat. 1. 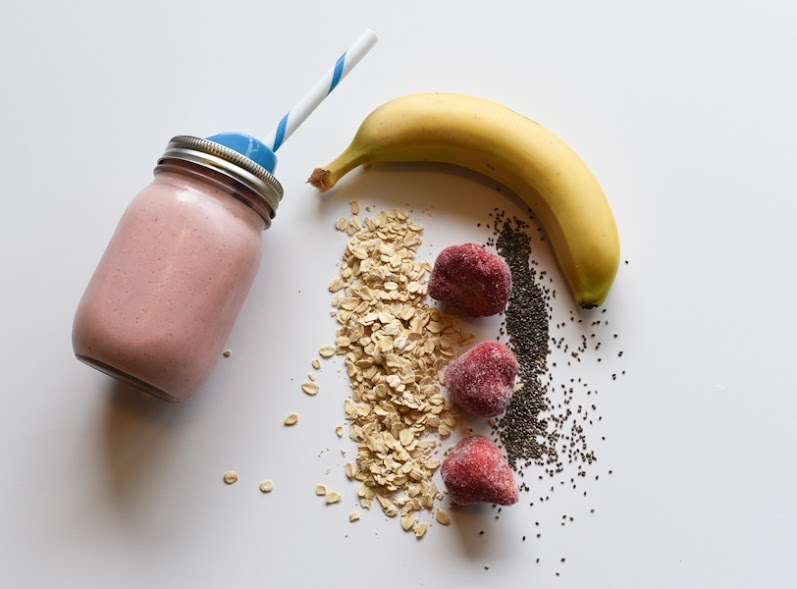 Combine banana, frozen strawberries, rolled oats, milk and chia seeds in a blender. Blend until smooth.